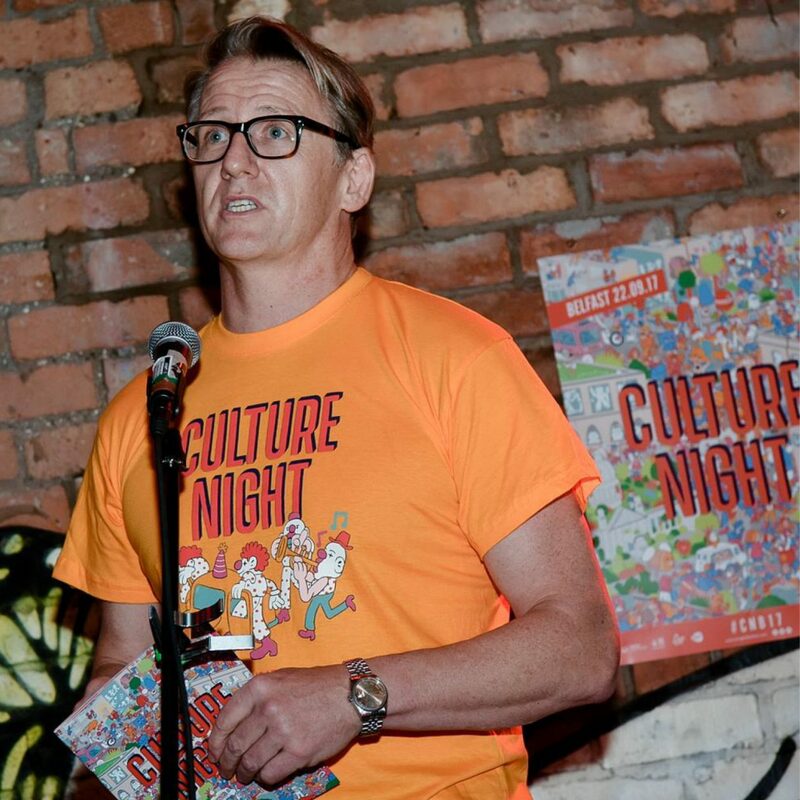 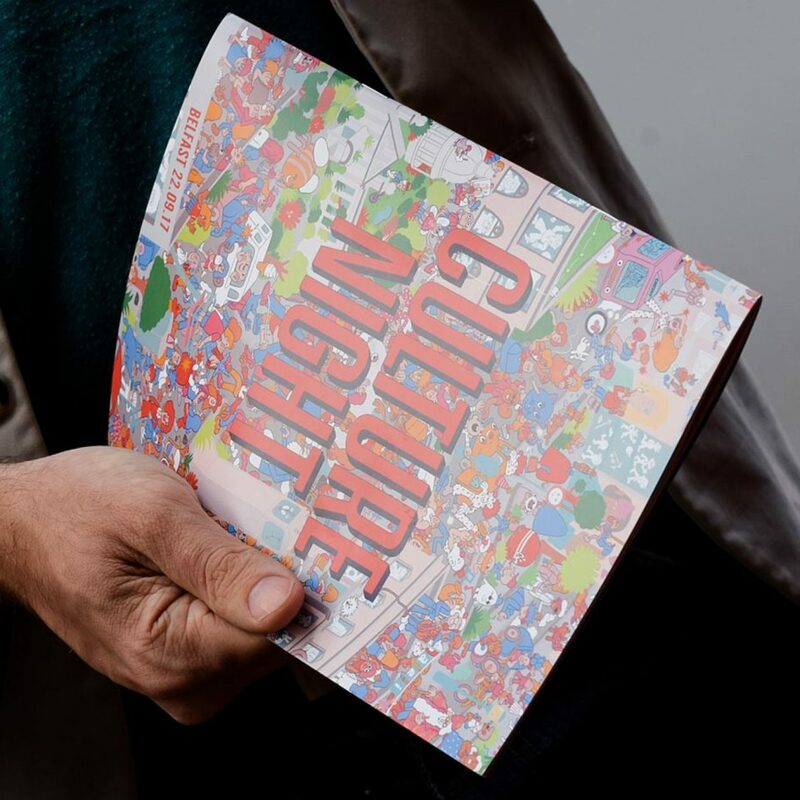 Over the last 10 years, Culture Night has come to be recognised as an epicentre of the distinct creativity flowing through Belfast’s veins, growing every year to become the unmissable celebration it is today – offering hundreds of free events and attracting over 100,000 visitors. 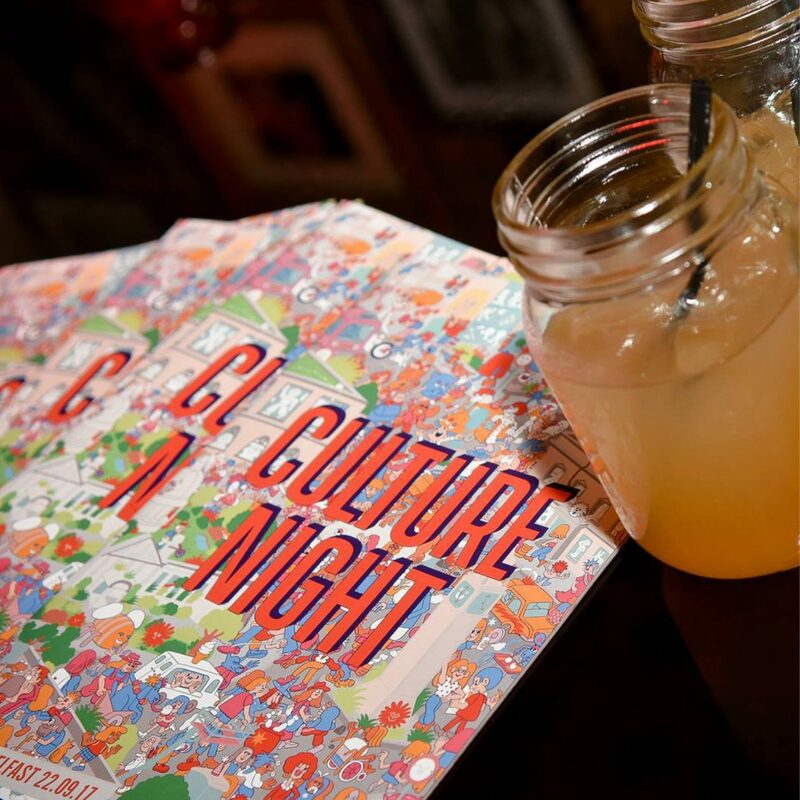 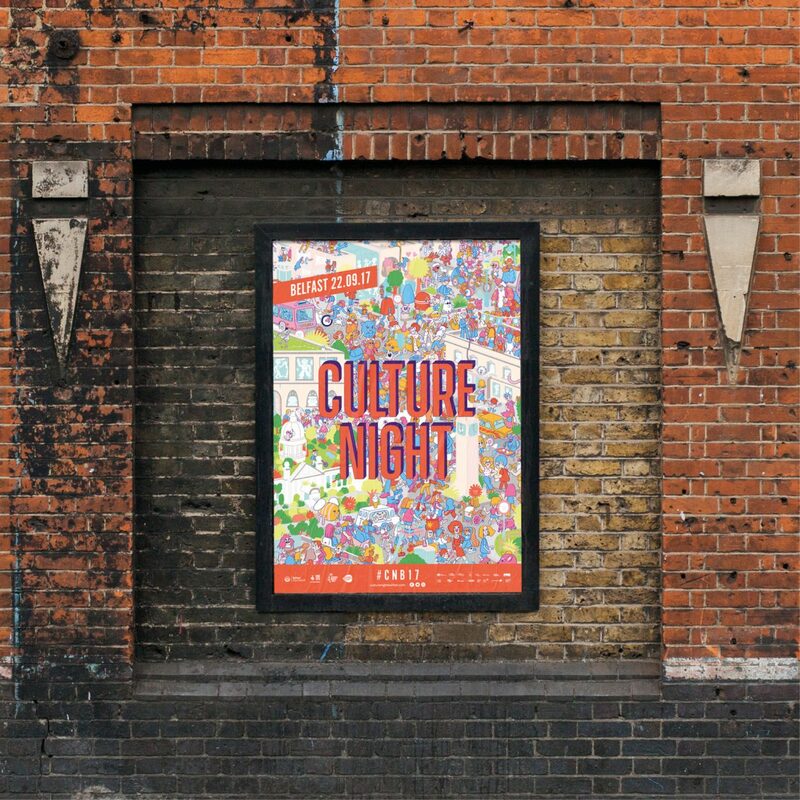 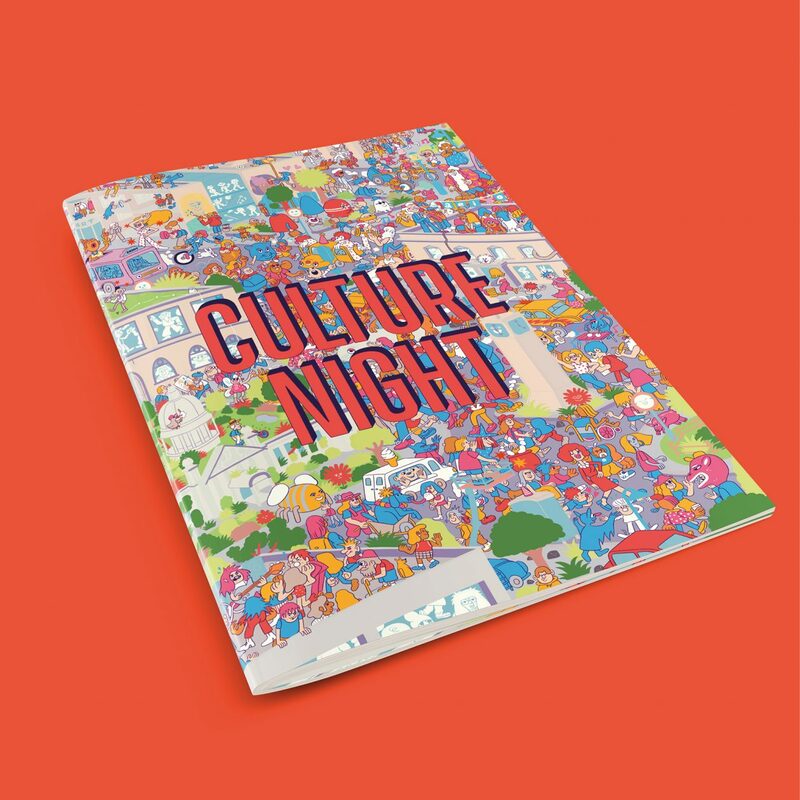 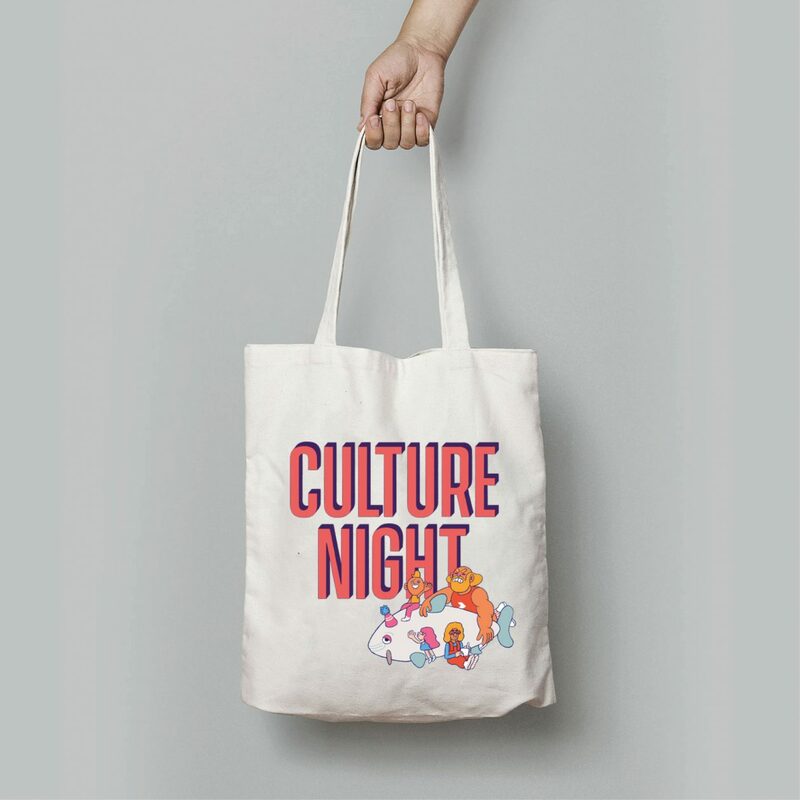 Having always admired the ethos of Culture Night – with many of UsFolk’s illustrators getting involved over the years – and indeed having organised our successful UsFolk Family Feast event as part of 2016’s celebrations, we were thrilled to get the chance to create vibrant branding and advertising for Culture Night 2017. 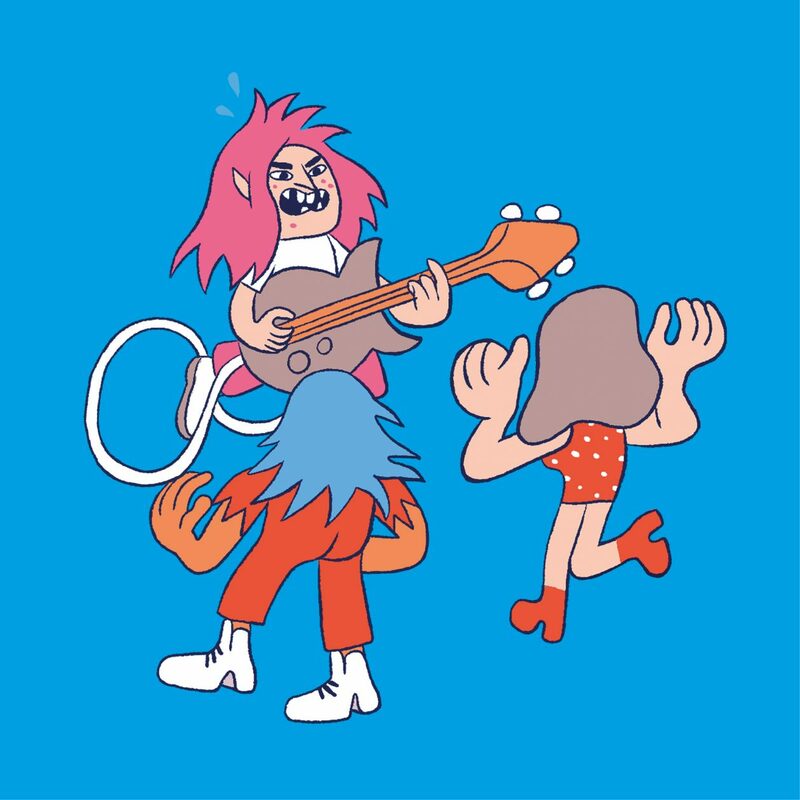 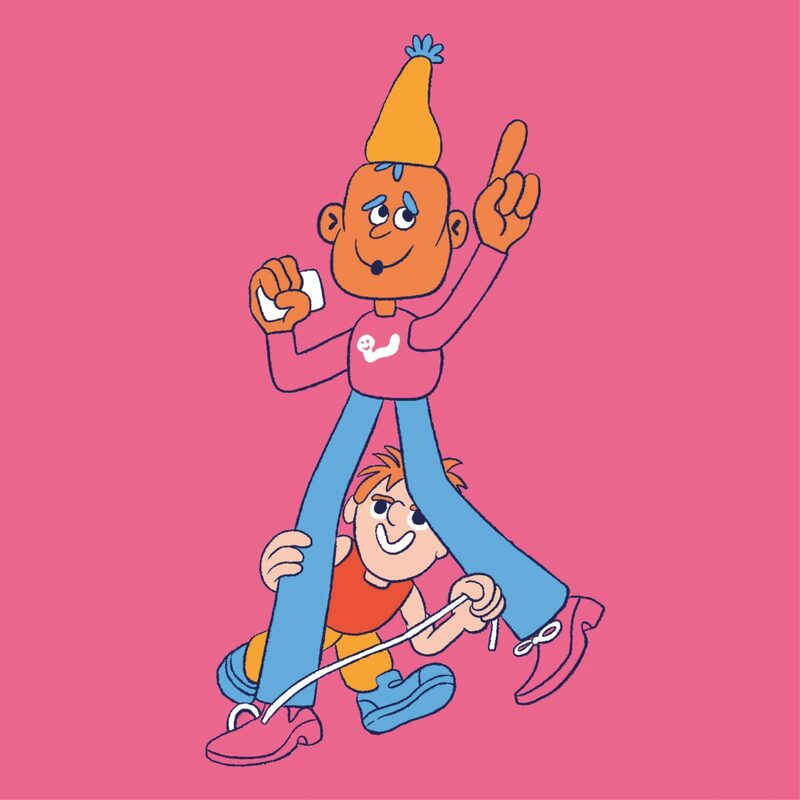 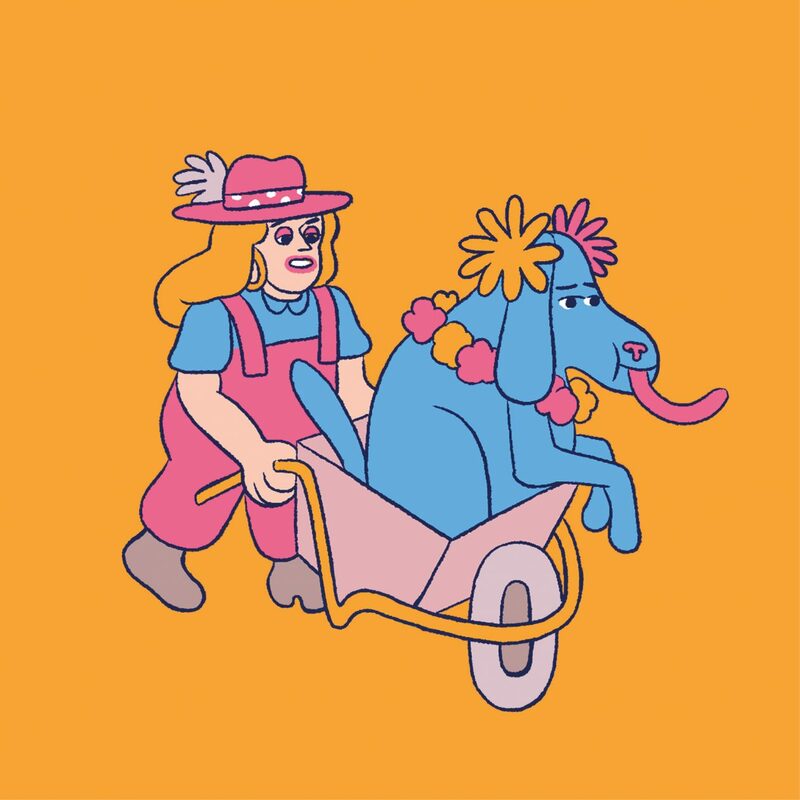 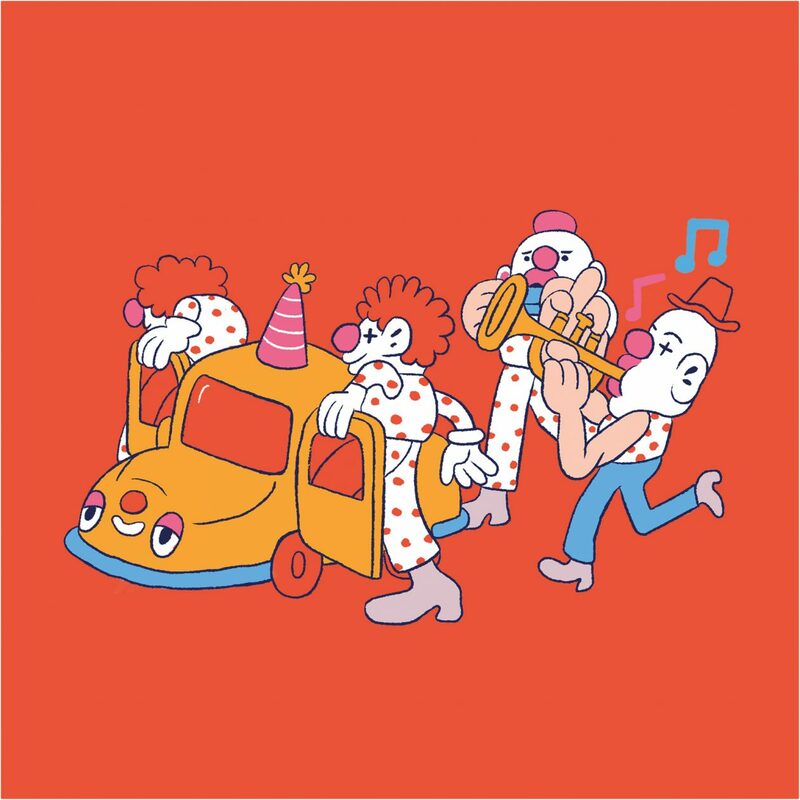 With his bold, punchy visual style and intrinsic humour, we knew from the get-go that Stephen Maurice Graham would be the perfect illustrator for such a project. 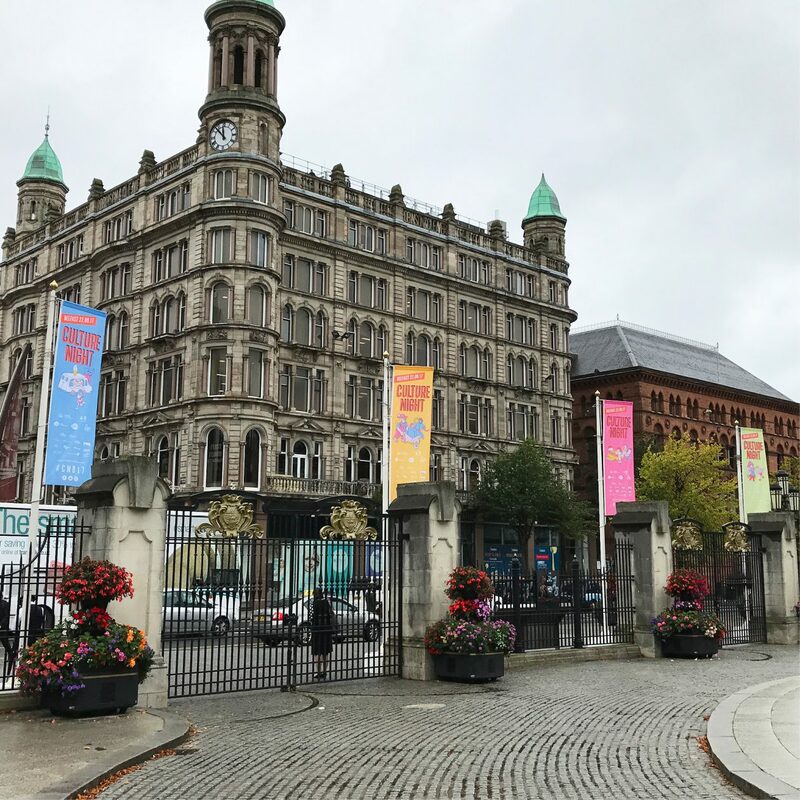 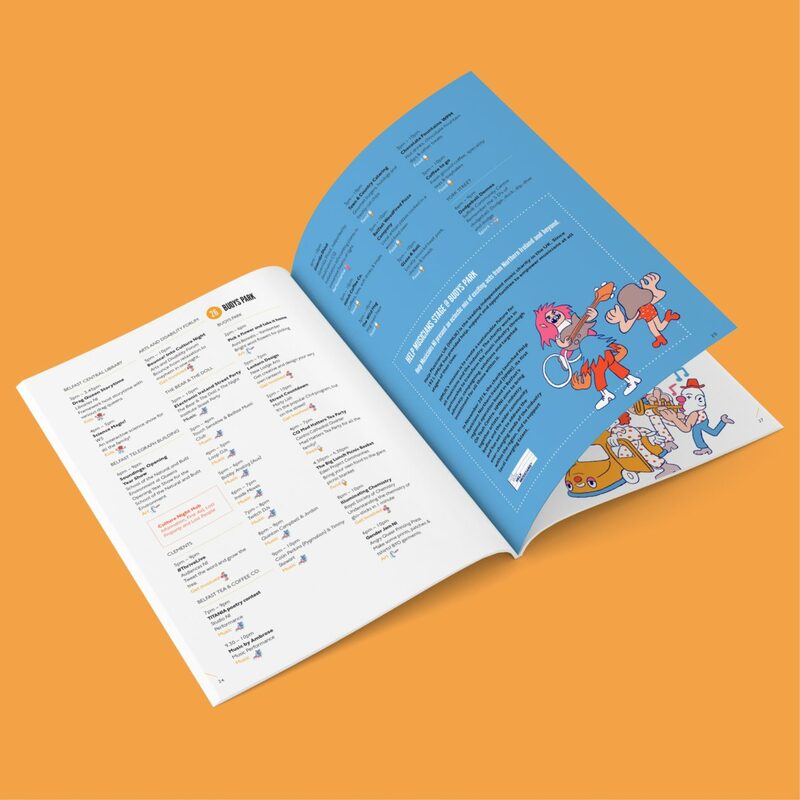 The consequent visuals would be centred around Stephen’s epic and hilarious illustration of a bustling Belfast, with many elements taken from this by our designers and included across a diverse advertising campaign which we feel really commanded attention and curiosity.